Monday	12:00 p.m. – 12:00 a.m.
Tuesday	12:00 p.m. – 12:00 a.m.
Wednesday	12:00 p.m. – 12:00 a.m.
Thursday	12:00 p.m. – 12:00 a.m.
Friday	12:00 p.m. – 12:00 a.m.
Saturday	12:00 p.m. – 12:00 a.m.
Sunday	13:00 p.m. – 12:00 a.m.
Everyone at The Meat Bar made our party feel incredibly welcome. Service was prompt and friendly and all nine of us thought the food was great. 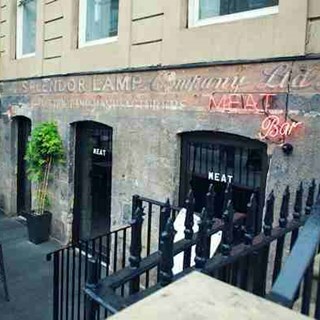 Would thoroughly recommend this place to anyone searching for somewhere to dine when visiting Glasgow. Ribeye steak was exceptional. The bar itself was really casual and quirky. The portions were huge and the prices weren’t too shabby either. The server spoke a bit too quick about the options and the specials and when we asked about certain things he sounded quite uninterested and rushed. But nevertheless, the food was great and we had no complaints. Would definitely return. Excellent place. Restaurant knows what it's about. Going off the beaten track with the bizarre cocktails and desserts is well worth it. Food is fantastic. Meat Bar was an excellent place to host my boyfriend's birthday party. I booked a reservation for 23 people several weeks prior, and the staff were accommodating and very easy to communicate with to plan. On the day, we had 3 sections reserved for us which worked out perfectly. The food was excellent (all guests raved about it after) and the servers were kind, efficient, and organized. I am looking forward to going back again soon! Service was great - our server was very friendly. Food was great and served within a good time window. Food is great as always, like the interior and vibe too. I happily reccommend this bar/restaurant because the promotions they offer are excellent for the quality of food you are getting. We often visit and get steaks on the 50% off deal and they are great. Drinks are good, a little pricier but considering the deal on food not something to complain on. However this last time we visited we ordered the chateubriand sharing steak, cooked medium. The male waiter asked if we wanted any sides, I asked for fries on the side and he said no it comes with a salad. I understood the steak came with a salad I was asking for fries on the side which we did not get. The steak then arrived, It came completely rare. When they asked if everything was all right we politely said we asked for medium which this was not. They were kind and lovely and took it away to cook to our liking. While the steak was still a little more medium-rare than we would have liked, it was okay. Wouldn’t buy it again would just stick with the sirloin or tbone which have been great in the past. Service is very 50/50. Sometime fine and lovely, other times they are distracted and impolite. This last time we went we were they last people in the bar and they cleared our plates away and disappeared offering us no bills or other drinks. We waited for a full ten minutes hoping the would ask us if we needed anything but they were too discrated with their backs to us. Eventually we asked for one more drink and our bill at the same time so we could be on our way. All in all the food is typically worth it if your willing for higher drinks and spotty service. Enjoyed a late lunch with great food and amazing cocktails. Friendly service as always. Always fantastic food to be had; visited many times and always something new and exciting to try out! Amazing food with great service! Staff were excellent and checked in regularly to make sure everything was ok. Steak was prepared exactly as ordered. Great range of ales on tap. 3rd Visit. Every one has been excellent. 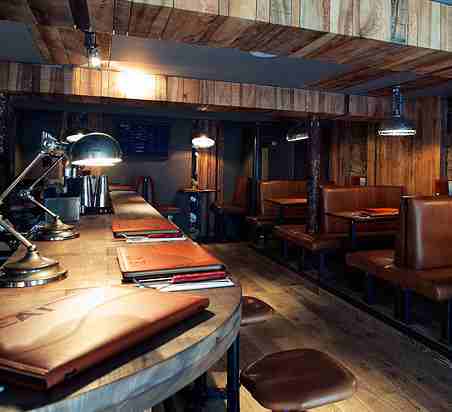 An absolutely brilliant bar/restaurant. There were 9 of us there for lunch and we all loved the food, very high quality and really tasty. The service is brilliant, staff are friendly and attentive, even when they had to put up with a group of disorganised blokes. Good range of drinks, and great decor inside. 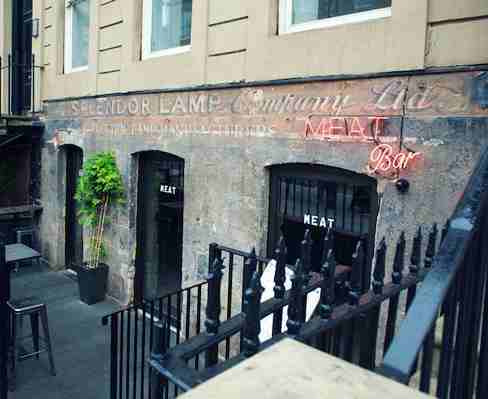 Will definitely visit again when I'm next in Glasgow.